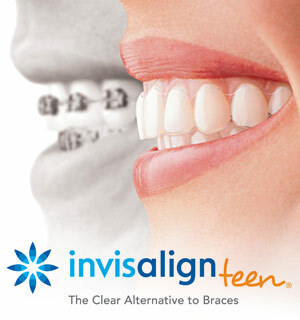 #1 Experienced "Elite" Invisalign and Invisalign Teen(under 20) in Vienna,Oakton,Tysons,Great Falls. Voted Top/Best orthodontist in Northern VA.
There’s a new technology that’s (literally) putting a smile on plenty of young faces: a system of clear, removable aligners made especially for teens called Invisalign Teen®(Under 20) braces! If you (or a teenager you know) are a candidate for this treatment, you might find it’s the best fit for your lifestyle: It lets you eat what you want, makes it easier to clean your teeth ... and best of all, it’s virtually invisible. Luckily, technology has come to the rescue. 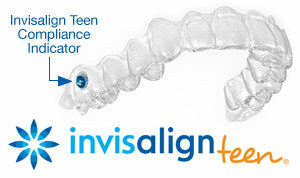 The first problem is addressed by “compliance indicators” located on the aligners themselves. These colored dots fade over time as the aligners are worn in the mouth, and show whether or not you’ve followed the plan. To solve the second problem, aligners made especially for teens come with “eruption tabs” built in; they are designed to hold space for teeth that have not yet fully erupted. Dr. Allen Garai at Garai Orthodontic Specialists is an Elite Invisalign teen orthodontist with two offices in Great Falls and Vienna, VA.
Our promise to treat your teen with braces at No Additional Charge if they are non-compliant with invisalign teen braces.